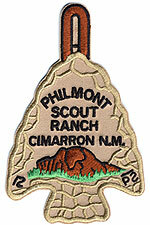 Due to fire, many Philmont treks have been cancelled and the crew advisors contacted. In case you're still thinking of alternative adventures, or just to be aware for future treks, here's some other cool places to Scout around the country. Most of these have expressly mentioned they have room to take on cancelled Philmont trek participants. Scout On! Some of the Philmont staff have been dispersed to the other BSA national high adventure bases - Northern Tier, Sea Base, Summit - and all those locations might have openings for your trek. MOHAB (Montana High Adventure Base) - wilderness expeditions including backpacking and packrafting in wild habitat for elk, deer, bear, and cougar. If your council has a high adventure base, feel free to add it in the comments.